IWM is a Fee-Only advisory firm. The only compensation we receive is the fee our clients pay directly to us. We don’t accept commissions, referral fees or rebates. 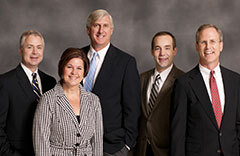 We take a fiduciary role with each of our clients. We hold ourselves to the highest fiduciary standard. A typical financial advisor or broker is only held to the lower “suitability” standard. Unlike many Wall Street firms, banks and accounting firms we only serve one master . . . our clients. Understanding how an advisor is compensated is extremely important. The compensation method can have a major influence on the advice provided. We define a commission-based compensation arrangement as any relationship where the advisor’s compensation is based on the buying and selling of an investment product. Compensation is generally linked to activity. Commission-based relationships have a high potential for conflict of interest. Independent Wealth Management does not accept commissions. We define a fee-based compensation arrangement as any relationship where the advisor’s compensation is based on receiving compensation from multiple sources. There may be a fee charged for assets under management. Because there are multiple types of compensation, there is potential for confusion and conflicts. Independent Wealth Management is not fee-based. We define a fee-only compensation arrangement as any relationship where the advisor’s compensation is only paid by the client to the advisor. The fee is generally calculated as a percent of the assets under management, an annual retainer, or an hourly billing rate. Because no commissions may be received, Fee-only compensation has the least potential for conflicts of interest. Independent Wealth Management is a fee-only investment firm.